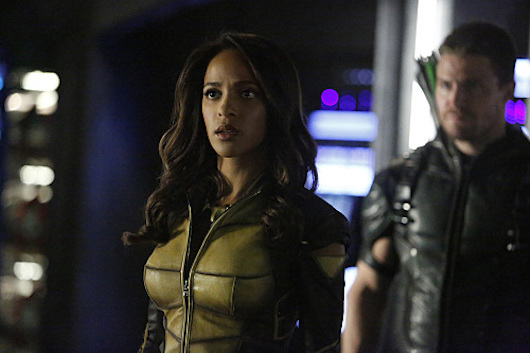 Arrow — “Taken” — Image AR415b_0014.jpg — Pictured (L-R): Megalyn E.K. as Vixen and Stephen Amell as Oliver Queen / The Green Arrow — Photo: Bettina Strauss/ The CW — ÃÂ© 2016 The CW Network, LLC. All Rights Reserved.